“Lean on me,” she said. so intent on something else. A strange chill stirred the air. with pulleys and a rope. And the other Mary doubled silently. as any woman would feel it. Selection from GOOD-BYE TO WHITE KNIGHTS and other moving vehicles—III. One Hand. 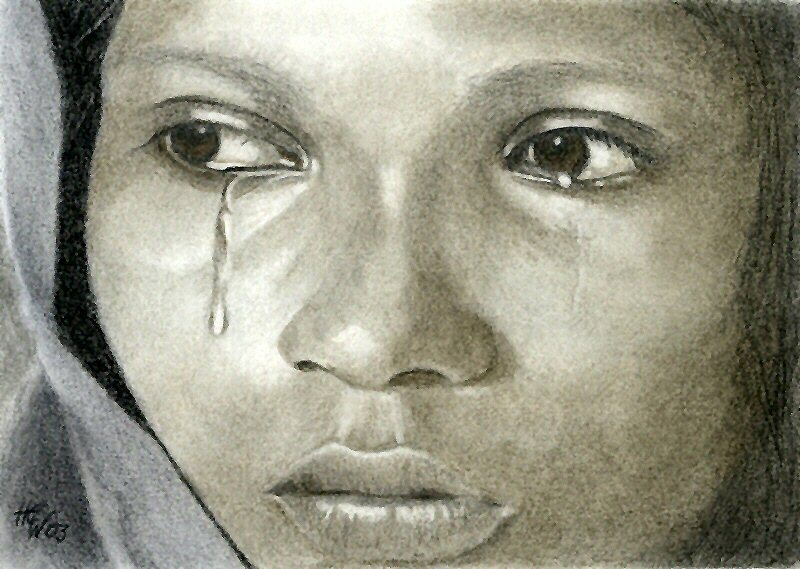 Artwork: “Tears” by Hilly Wakeford, Rainbow World of Watercolor, original pencil drawing, 2003.